This post has been on my mind for a while now. Months, actually. But I haven’t sat down to write it yet because, quite frankly, it scares the hell out of me to hit “publish” on this one. It’s a bit vulnerable. So, be gentle with me. You may have noticed that since about November there has been a renewed focus on this blog. Suddenly, I’m posting regularly, the quality of the content has (I hope) gotten significantly better, and things are looking up around here. Maybe you didn’t notice. That’s okay too. But the bottom line is, my heart is back in this blog. For real this time. I’ve debated whether or not I want to talk in detail about why there’s been such a sudden shift, and for a while I didn’t want to. But the more I thought about it, the more I felt compelled to share at least something – some of you have been a part of my life for over five years now. You’ve followed me through mine and Corey’s engagement, you know more about my wedding than some of my real-life friends do, and you’ve watched my little family grow throughout the years. You’re my friends. You’re my tribe. And don’t you share what’s going on in your life with your friends? So pull up a chair, grab a cup of coffee, and let’s chat. For the last few months, Corey and I have felt pretty strongly that I’m being called to stay at home with Jackson. There have been so many things in our lives that have pointed us in this direction, and it has become so clear to us that this is where we’re supposed to go. It is equal parts terrifying and completely and utterly thrilling. I’ve wanted to be a stay-at-home mom since before Jackson was born, and I am so joyful that it might actually be a reality for us. Only problem? He’s a teacher and there’s no way we can continue our current lifestyle on a single teacher’s salary. Not gonna happen. Well, it means that I am going to have to find a way to make some money from home. And you know what my dream has always been? To write. As a child, I had binders upon binders full of stories, thoughts, and journals. I was writing constantly. I’ve had a blog in one form or another for about twelve years now. It’s my passion. And there are plenty of people out there who make a full-time living from blogging, so why not me too? Like I said before, it’s a bit very nerve-wracking to share this with you because…what if I fail? What if I don’t make it? What if the blog fizzles out again? But I don’t think that’s going to happen. I truly believe this is what I’m supposed to be doing, and I truly believe it will happen. It’s what I want more than anything in the world and it’s what I have felt led to do for a while now. I don’t know when it will happen. I don’t know how, but I believe it. So what does that mean for you, as a reader of this little old blog? Sponsored posts will absolutely never take the place of regularly scheduled content. I have an editorial calendar with posts planned out for the next several months. Those posts are going up whether or not I have a sponsored post. As I am getting asked to write paid posts, I am adding them in to the calendar, not using them to replace other posts. Sometimes, due to deadlines, they will move posts around (for example, a post originally scheduled for a Monday may be published on Tuesday), but never will I take away a post that I was originally going to write in favor of publishing sponsored content. Think of sponsored posts as “bonus” posts! I will never write about something I haven’t tried and don’t absolutely love. I am incredibly picky about the sponsored posts that come my way. I never even look at a sponsorship opportunity unless it’s from a company I have tried (or can try before I write the post) and that I actually would use or do use in my every day life. Sponsored posts will always, always, always be about brands or companies I know and love. I will write sponsored posts that are relevant, interesting, and not too “commercial-y”. When I take sponsored content opportunities, my first thought is, “How can I write this post so that my readers will get something out of it?” I don’t want to bore you, I don’t want to spam you, and I don’t want you to roll your eyes every time you see a sponsored post pop up. I want you to enjoy them just as much as you’d enjoy every other post, and maybe even find a new product or brand to love. I’m not trying to get rich. I love reading income reports from bloggers who make $10,000+ per month – it’s absolutely incredible and fascinating to me how much money some bloggers are able to make just by working their little butts off. But that’s not what I’m shooting for. I don’t want to make millions of dollars. I don’t even want to make more than I do now. I’m just hoping for enough to allow me to stay at home with my kiddo and (possibly, maybe, we’re still thinking this through) homeschool him when he gets older. So, please just know that I’m not in this for a get-rich-quick scheme. I have zero expectations of getting rich off this blog! So, that’s where we’re at right now! I don’t know what the future holds. I don’t know if it will take me one year or five to turn this blog into a full-time career, but I do know that it’s my eventual plan and I’m so incredibly excited about it. And, I really hope that you join me and read along as it grows! I promise it’s going to be FUN! Before I sign off, I want to ask for your thoughts. I have gone back and forth for months about how much of this journey I should share here on the blog. I follow bloggers who publish monthly income and traffic reports, talk about their growth, and are 100% transparent about how their blog is doing. I love that. I am a data geek, and it is thrilling to me to follow along as these bloggers succeed, grow, and progress along their path. I can’t get enough. But maybe that’s just me? My blog has never been about business, money, or blogging, so I don’t want to even step a foot down that path if it isn’t something you, my readers, are interested in. So, what do you want to read? 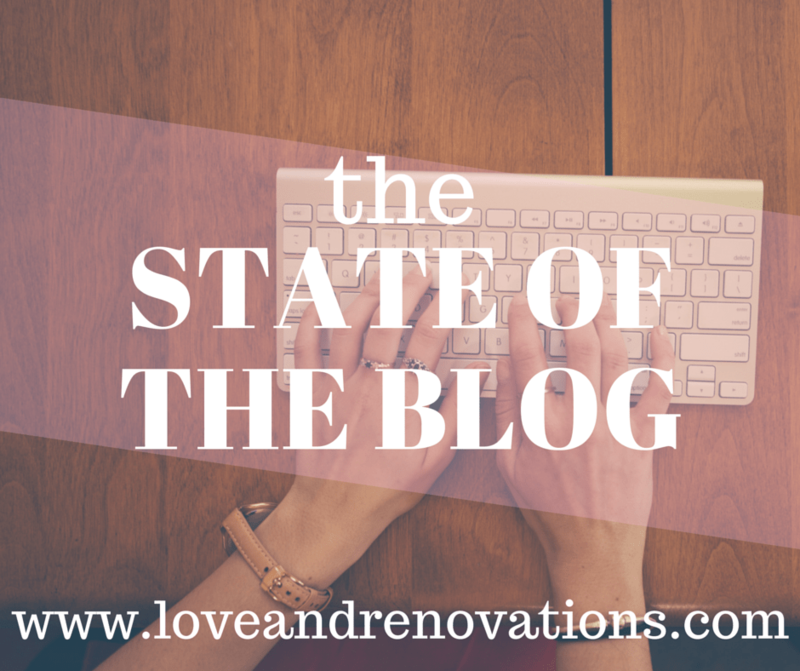 I have no problem being completely open about the state of this blog as it (hopefully) continues to grow, and if it would help even one reader I would be thrilled to share traffic reports and talk about my income as I start to make more money from the blog. But, I also understand that it may hold zero interest for many of you, and I’m not here to bore anyone (at least, not intentionally!). Don’t want to leave a public comment? Shoot me an email and spill your guts. Seriously – please, share what you’re thinking, because your opinion matters to me! Also…in case I haven’t mentioned this lately, thank you. Thank you for reading for all of these years, thanks for sticking with me when I dropped off the face of the earth for months, thank you for cheering me on and supporting me through this entire journey. You guys are amazing. Thank you. Thanks so much, Kari! I really appreciate your desire to help! Yes, it does make a difference if you click through – every “page view” that is added helps! 🙂 Another big thing you can do if you’d like to support me further is you can use the links on the sidebar (or in posts) to get to Amazon or Target when you’re making purchases from those websites. I am an affiliate with both Amazon and Target so I get a (small) commission off of any sales that come from direct links from my blog. You don’t even have to buy what’s actually linked, but if you use the link to get there, I get a small amount of money. Thank you, Erin! I so wish I could make my job part-time somehow, that would be such a great solution for me in the interim! Wishing you success on this new endeavor! I’ve been following since weddingbee and have especially appreciated the Jackson posts as my little one is only a few months behind him. I’ve been reading your blog since way before Jackson was born. I’m glad you are going to get back into. Honestly, I don’t care if you share how much you are making via your sponsored posts. It’s none of my business. And I’ve found from reading blogs (and blog comments) that sometimes people are going to nitpick either way about what you share and what you don’t share. I say, make a decision and stick with it! I’m excited to join you on this new journey. Thanks for taking the time to comment, Cinny! I really appreciate your thoughts! I would absolutely be interested in the nitty gritty! I work out of the home full time and am always fascinated by people who figure out other ways… If you don’t feel like it’s worth a full post, maybe just a mention with a link at the bottom of a week in review post once a month? Great idea Kristyl – thanks for taking the time to comment! I’ve been following since your Weddingbee days. What I like to read? 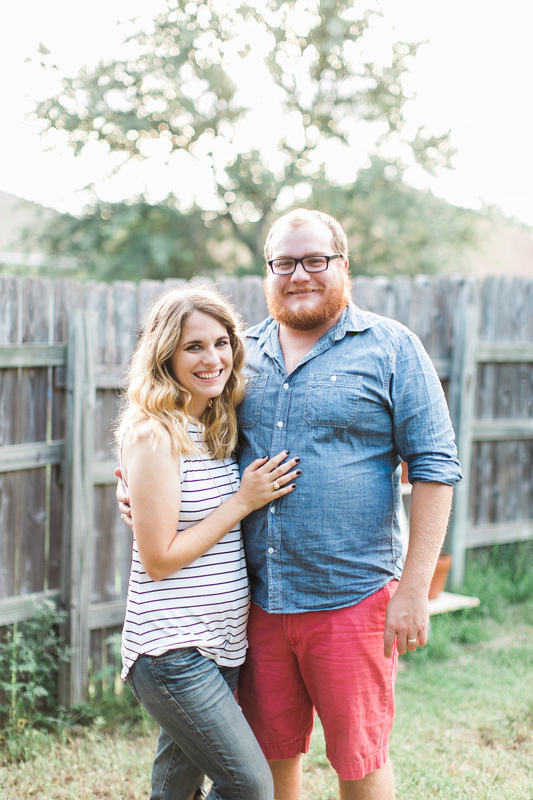 Well, as a fellow 20-something DIY addict, newlywed, Texan teacher who is about to start her family, I’ve always felt so close to this blog and will help spread the word and will read anything! Thanks so much, Krissy! I’m loving hearing from people who are in such a similar place to me. Thanks for taking the time to comment! I’m so excited for you! I left a career to be home with my son (now I have 3!). My family and I have been so blessed to have me home full time. I ended up homeschooling for 10 years and loved it. Some of the best results are the great relationship I have with my boys and the amazing friendships my children have with each other. One of the unexpected difficulties I had when transitioning home was answering the Question, “So, what do you do?” I didn’t realize how much I found my worth in my profession until my answer changed from “I’m a doctor” to “I stay home with my son”. I’d like to say I’m completely over that but I felt called to put my kids in school this year and once again, it’s hard to transition from, “I homeschool my kids” to “I’m home full time.” Just a reminder that your worth is not based on your job title but on your value as a dearly loved child of God. As for sponsored posts, it sounds like you have the right approach in mind. If it allows you to stay home, go for it! Thanks so much for your input, Amy! I was homeschooled myself so I know it can be so awesome for kids. I hope it works out for us to do it with Jackson! Thanks for your input, Carla! I agree, that’s always a sign of a well-written sponsored post! Long time reader, first time commenter. Your content here and on Wedding/HelloBee has always been really strong and enjoyable. I’m not even sure if I’m having kids or not, but I have found your perspective on parenting to be so sane and thoughtful (just as I did with wedding planning), and I feel like it’s made me a better friend to my friends who are parents…you definitely have something meaningful to say and a unique and polished voice with which to say it. It has been such a treat to have more regular content from you here, and I wish you the best of luck! Thank you so much for your kind words, Anne. It means so much to me for you to take the time to comment! I’ve been a silent reader for years as well (since Weddingbee), and I wanted to come out to say how much I love following your blog, and that I wish you the best with this next step! I A decision likes this takes a lot of courage and I think you’ll succeed! My favorite posts are ones about Jackson and parenting because I have a 10-month-old son. I love how focused you are on family and values. Your posts about how to connect with each other and how to make family time as meaningful as possible are such a pleasure to read! Thank you so much, Christine! Your sweet words mean so much! First of all good luck! I think the big thing is being honest and transparent and what you’re doing. In general I’m not a fan of sponsored posts but there are some bloggers who do it well, girlsgonechild is awesome at it. As for the stats I would be curious to see them occasionally, but wouldn’t want that to become the sole focus. I’ve been a reader for years and years, and I wish you the best of luck as you pursue your next chapter. I was a full-time teacher before my son was born, and now I push in as an interventionist two mornings a week at a school, and tutor four afternoons a week to make enough money to stay at home with my kid. I hope you’re able to make it work as a blogger, but wanted to throw my career path out there as an idea since you’ve already spent the time and have the credentials needed in education. You can feel free to email me if you want info on how I went about starting my business and getting tutoring clients! Best of luck! I think this is great 🙂 I mean, blogging has gone down the crapper in so so many ways because of sponsored content, which I’ll openly talk about, but I also believe it’s doable and able to find balance. You can certainly tell the difference between the get rich quick, any money is good money sponsored content posts (that conveniently 4 different bloggers post about in the same week…sigh) and the thoughtful bloggers that spend the time making the content real, applicable and their own. I also love the idea of sharing and being transparent, because it’s all part of your journey! Thanks Amy! I appreciate your honesty and I promise I’ll do my best to always make sure my content is engaging and thoughtful. I definitely agree with you that it can be so annoying when everyone is touting the same products and services – it starts to feel very insincere! Hi! I started following your blog through Young House Love. I can’t remember if you were featured on their blog or if I saw a comment or what. And actually since they quite blogging – you’ve taken the slot as my favorite blog to read. I love the posts about Jackson and any home improvement posts. My son is just three months younger than Jackson so it was always fun following along with your pregnancy and now with your adventures with a Toddler. I’m currently a SAHM and can’t wait to see the type of posts you have once you cross that threshold. So yay! I’ll be reading and waiting to find out what direction you go! While I am excited for you to pursue your dream of staying at home, I have to admit that a little part of me is sad that (yet another) blogger is looking to monetize and is going to be upping their sponsored post content, even if it doesn’t get in the way of regularly scheduled content. I still love your blog, and will still read non-sponsored content posts, but I will definitely be skipping the sponsored posts. Congratulations, this is all very exciting! Excited to continue following your journey, although I admit I’d prefer not to see too many “blog as business” postings. Just don’t find that as interesting as your motherhood/renovation stuff. Best of luck as you start this wonderful new chapter. Jackson is a lucky guy! I’ve been quietly following you ever since your Weddingbee days (and it makes me feel like such a stalker — maybe because I live in the same city as you? I don’t feel so weird about following other blogs!). In any case, I’ve always enjoyed reading your posts! I feel like only those who want to make blogging a career, or even a side job, are interested in hearing all the numbers behind it. As a reader who doesn’t plan to blog, I’m more interested to read about home improvement/lifestyle stuff. I wouldn’t mind seeing a post or two about “what it’s like to be a blogger” because that would lean more toward lifestyle (specifically, your lifestyle), but to be completely honest, I don’t think I’d be super interested to hear how many people visit the blog, etc. Hah! You shouldn’t feel stalker-y at all. 🙂 I definitely think you’re right – sounds like most aren’t interested in hearing the nitty gritty details, which is fine by me! I know I’m part of the minority in being fascinated by it all, so I’m glad I checked and glad you guys are willing to share your opinions! Thanks, Jamie! That is so wonderful! I am not usually someone who comments, but I love reading your blog and have been so happy to see more consistent content recently. Whether or not you share how you are doing financially through the blog doesn’t matter to me really. I will probably just skim it if you post it. What a huge blessing it would be for you to be able to stay at home, though!! I’m so excited for that possibility for you. Yay! Excited to see this! I’ve been a quiet follower, but I always love reading your stuff! I’ve just gotten back into blog reading (mostly while I’m at work…shhh! ), and would love to blog a little more for fun, but I’ve been saying that for 5 years!! haha. Can’t wait to see what you have planned! Aw, thanks so much Paula!